Why Focus on Social Emotional Development? It not only impacts all other areas of growth and development, it is the foundation upon which all future development is built. What caregivers share with & give children today, they will carry inside themselves forever. Sets the “playing field” for school readiness & lifelong success. Children who have healthy social emotional skills tend to learn better, are more likely to stay in school & will be better able to make & keep lifelong friends. We teach children how to read, write, skip or ride a bike. If a child does not know how to behave, we teach social emotional skills! TPOT is used as a social-emotional classroom observation tool for our preschool classrooms. 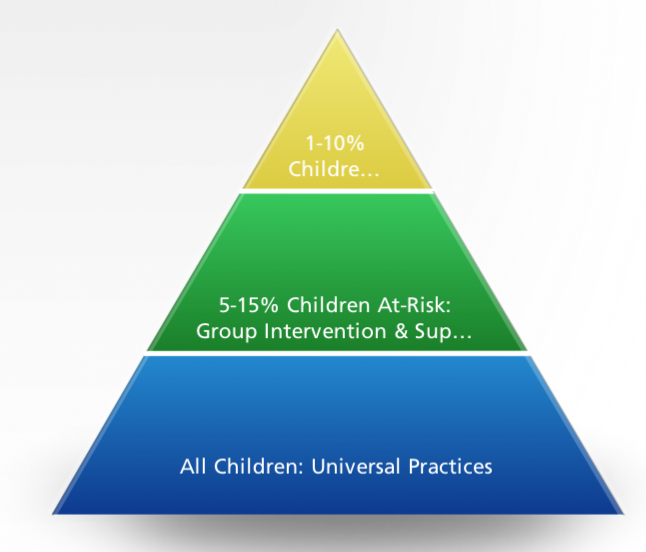 CSEFEL designed the Teaching Pyramid that builds upon a tiered public health approach to providing 3 levels of need. Strategies to address Intensive & Targeted services are developed during Case Management & Child Success Team (CST) Meetings. Educators develop plans to implement strategies to provide guidance & support for children so that they may communicate their needs in appropriate ways. 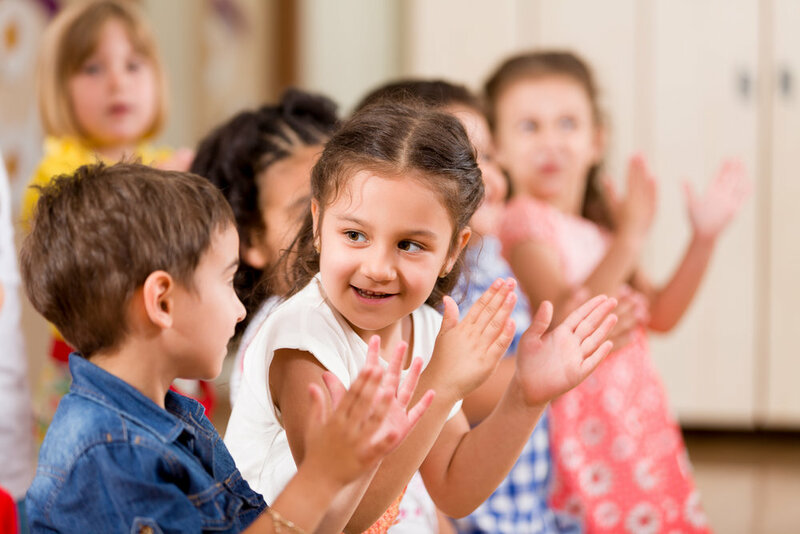 Staff & parents work together to help young children develop social emotional skills & reduce challenging behaviors by focusing on one topic each month. Master Teacher, Child Care Specialist, Coach or Designee observes teaching strategies and works with Educators on developing plans for additional support. In addition, determines if the Educator’s focus should be on Level 1 or Level 2 strategies.